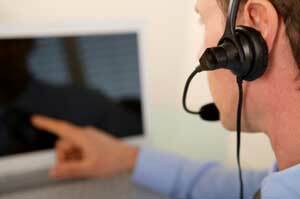 Phone support services provide training or maintenance assistance to your personnel from a distance on an as-needed basis. Phone support helps to minimize the time required for maintenance and troubleshooting and helps to improve your personnel’s knowledge of products and processes. Email provides a similar mechanism for support services, with the potential for tracking notifications and even quotes.